Resident in Department of General Practice (ER/OPD), Patan Hospital. Resident in Department of Surgery, Patan Hospital. Resident in department of General Practice(ER/OPD) , Patan Hospital. Registrar in Department of Surgery, Patan Hospital Nepal. Registrar in Department of Surgery, United Mission Hospital, Tansen, Nepal. 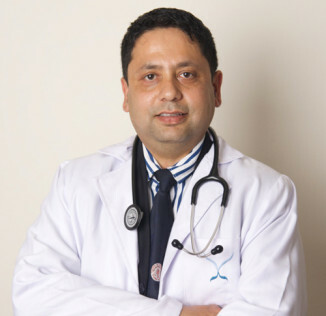 Associate professor of surgery, Patan Hospital, Patan Academy of Health sciences since May 2010. Consultant GI and HPB surgeon at Alka hospital Pvt. Ltd since 2006 to 2017.
for surgeons, Residents, medical officer and Paramedics in various hospitals since 2006 till date. Conducted PTC courses in various hospital in different provinces of china under the joint venture program of PTC foundation, Kadoori charitable foundation and ministry of health of china in 2010 and 2011. MBBS, in 1999, from Manipal College of Medical Sciences, Kathmandu University, Nepal. “Primary trauma care management”- two day course conducted in TUTH on 16, 17 may 2004 by PTC Nepal and World Federation of societies of Anesthesiologists (WFSA). Instructor course conducted by PTC Nepal on 17 October 2006. Palliative Care Course, organized by Patan Hospital and Hospice Nepal on July 13-14, 2007. Hospital Preparedness for emergencies (HOPE) course conducted under Program for Enhancement of Emergency Response (PEER) by NSET Nepal and USAID/OFDA on July 28-31, 2008, Kathmandu, Nepal. Laparoscopic Hernia course conducted by Hernia Society of India and Ethicon Institute of Surgical Education, Delhi India, Feb2-3, 2010.